By Mark Huber | from 2000 in Air & Space Mag. The hulks of seven DC-3 fuselages are parked alongside Basler Turbo Conversions’ 75,000-square-foot facility in Oshkosh, Wisconsin. Three more DC-3s sit inside, disemboweled, bracketed by yellow scaffolding in a main hangar that looks like a surgical theater. With them, a shiny white and blue BT-67, a “Basler-ized” DC-3, awaits its new owner. Fly-away price: about $4 million. Since 1990 Basler has given new life to dozens of DC-3s. (In the 33 years prior to that, Basler Flight Service had reworked more than a hundred DC-3s, modifying interiors, restoring airframes, and overhauling engines.) Basler installs Pratt & Whitney Canada PT6A-67R turboprop engines and Hartzell five-blade metal propellers in place of the piston engines and props that powered the original aircraft. The company increases the DC-3’s volume 35 percent by inserting a 40-inch plug in the fuselage forward of the wing and moving the cabin bulkhead forward five feet. A BT-67 boasts 45 more mph of cruise speed and almost 4,000 more pounds of useful load than the original DC-3. The aircraft’s notoriously temperamental 14-cylinder piston radial engines have always been seen as its weakest feature, so hanging turbines on DC-3s is not a new idea. The British tried it at the end of the 1940s using Armstrong-Siddeley Mamba and Rolls-Royce Dart turboprop engines. The engines helped, but the unpressurized aircraft couldn’t be flown at an altitude that would use the engines to their best advantage, and the project was quickly dropped. The idea was resurrected in the 1960s: In California, a few “Super Turbo Threes” were made and sold, but that project also fizzled. A Taiwanese venture failed as well. One of the most interesting turbo conversions was done by aviation legend Jack Conroy in the 1960s. His modified DC-3 initially featured three Dart engines, two on the wings and one stuffed in the nose. He sold the airplane to the Specialized Aircraft Corporation, which replaced the engines with Pratt & Whitney models. 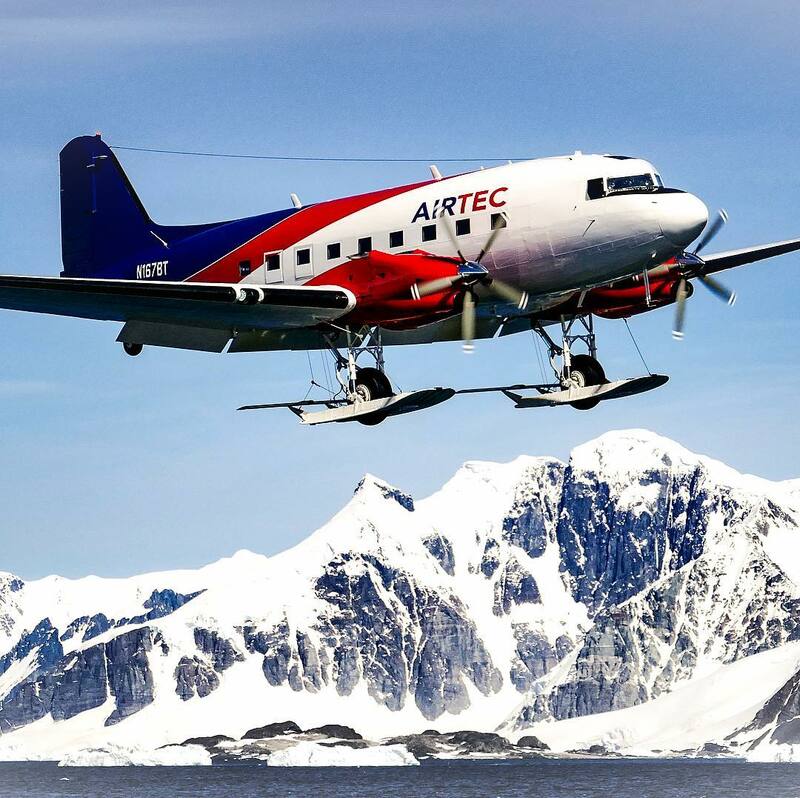 DC-3 experts then trace the Tri-Turbo to Santa Barbara Polair, Inc., which leased it to the U.S. Navy as a ski-equipped arctic research aircraft. Some have suggested it flew missions for the CIA. The late Warren Basler bought the aircraft in 1992 from a salvage yard in Tucson. It was so distinctive that Basler insisted it be preserved as an important part of the DC-3’s history, and today it sits in Oshkosh, stripped and weathered, awaiting rebirth. Read the rest of the story over at Air & Space Magazine.